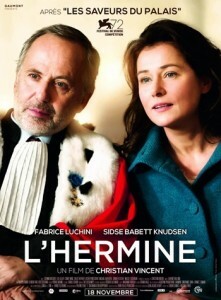 In a small French population, Judge Michel Racine is president of a feared criminal court. So hard on himself and with others, it is nicknamed “the judge of the two figures” with him, always fall more than ten years. Everything changes the day he meets Racine Ditte Lorensen-Coteret. She is a member of the jury that will judge a man accused of murder. Six years earlier, Racine was in love with this woman, almost in secret. It is perhaps the only woman I ever loved.